On this beautiful Friday morning, why not reminisce with us? 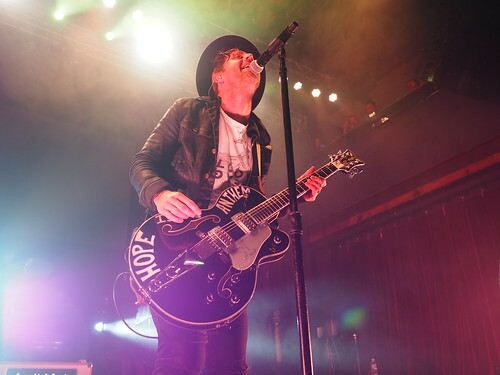 Switchfoot hit the Mercury Ballroom stage last month. I can’t say I’ve been following their new music since the mid-2000s (although they were the first band I saw more than one time! ), but there were plenty of folks there who were into it and loved it. The band granted them a gracious mix of old and new tunes. Though we had to duck out partway through the set, I’m fairly certain Switchfoot had the Mercury crowd leaving the venue on a high note. For more photos, click on the image below to check out our album on Flickr.